Bengali New Year AND the countdown begins. 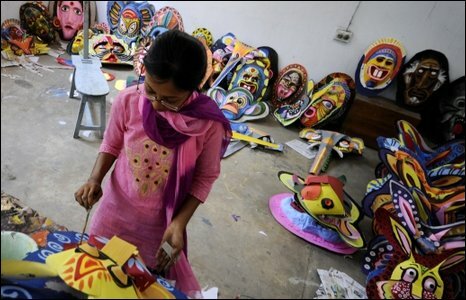 Look at these amazing masks from Pahela Baishakh, the Bengali New Year 1416. Today, Bengalis marched in the capital Dhaka and across the country. What fun it would be to recreate these masks with kids. They look like they might be paper and plaster. Does anyone have experience with these or more information about the symbolism of the animals? Posted on April 14, 2009 by Anna E. JordanPosted in UncategorizedTagged bengali, conference, masks.